Fair Oaks has retained its small town atmosphere with an eclectic mixture of semi-rural and suburban neighborhoods. The rolling hills, massive oak trees and American River rambling across its southern boarder add to Fair Oaks built in charm. Rare opportunity to build your dream home! Exclusive lot, walk to Sailor Bar Recreation Area,river and bike trail. Lot sits next to French Country Estate. Fair Oaks offers the city convenience with small town charm and nature nearby. Highway 50 is only a couple miles from the southern border which offers easy commuting to both Folsom and downtown Sacramento. The quaint shops and cafes of Fair Oaks Village play host to the annual “Chicken Festival”. The Village “Plaza Park” is kept busy with the open-air amphitheatre featuring: summer concerts, theater festivals, and “Comedy Under the Stars”. The Fair Oaks Community Park is home to the local library, Skate Board Park, and the UCCE Master Gardner’s Horticultural Center which hosts an open garden and workshops. Annual events include the Renaissance Fayre and Father/Daughter Dance. 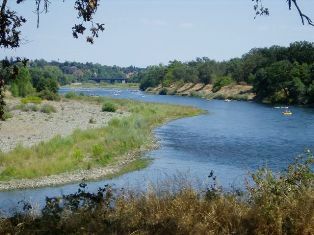 The American River brings picnicking, kayaking, rafting, and a top rated hiking and biking trail. Phoenix Park is home to wild turkeys and Vernal Pools.